President Reuven Rivlin said Sunday at the Haaretz conference in New York that the IDF is "the most moral army in the world." He noted that a representative of "Breaking the Silence" would be speaking at the conference. "I know there is a panel here with a representative of Breaking the Silence," he began. "Sometimes, the obvious needs to be said. "The IDF is doing all it can to maintain high moral values. Our soldiers defend our land and we will do everything possible to defend them," he added. 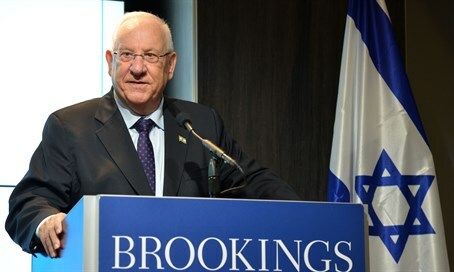 Regarding US President Barack Obama, Rivlin said: "It is possible that Obama and I have different views on the Palestinian issue, but his commitment to Israel's security is not a question." Five MKs from Kulanu and Likud co-signed a letter to Rivlin Sunday, asking him to steer clear of the Haaretz Conference, because the conference would also feature Avner Gevaryahu, representing Breaking the Silence. "By not participating in this conference," they wrote, you will be sending a clear and unmistakable message against the delegitimization campaign that Breaking the Silence and similar groups are waging against the IDF and the State of Israel."